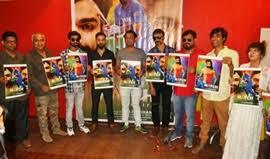 The muhurat of Match Of Life was held recently and also its poster was launched at the same time. Presented by Yashika Motion Pictures, Match Of Life is full of Entertainment. Its 1 line story – it is a story of 3 friends who individually plays the match of their life. The 1st ever character is Yash Mehta who is unknown of his problem of hormonal disbalance in the night. The 2nd character of the movie is Bunty Chopra who is unaware of technology of the 21st century and the 3rd character is Amit0 Mishra is look alike of cricketer Virat Kohli when a common man having a face of celebrity how many problems he faces what are the positive circumstances and what are the negative circumstances and after the interval the villain of this film enters. The 3 characters are supported by Shiva, Alpana Chakraborty, Kimaya Bhattacharya, Bhakti Kapoor and the other actors are yet to be finalized. Producer- Vishal Mehta. Director- Salim Khan. Music Director- Ravi Chopra and Shweta Baheti. Lyrics – Shweta Baheti Tayal. PR and Event Managed by PUNEET KHARE AND DSA BOLLYWOOD CHANNEL .